Nyeark is the OG moderator. He was the original mod. He got a Z31 and focused on that. This is when Jacy (jcrapps) asked me to be a moderator. Nyeark has figured out a few things in the F31. He wired up the radio dash buttons to an aftermarket radio and made a write up. When I put F31club back together, I was glad he posted up and we reconnected. 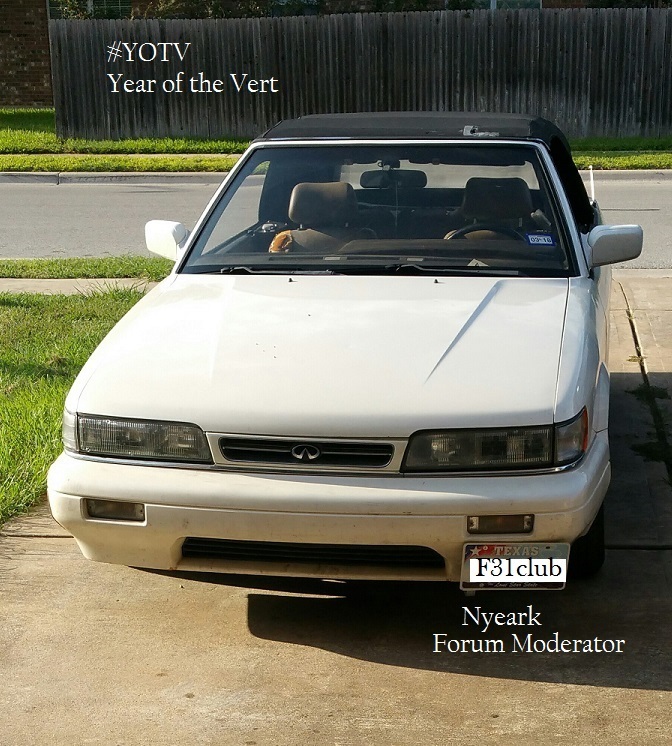 This entry was posted in convertible and tagged #yearofthevert, #YOTV, m30 convertible, nyeark, year of the vert.